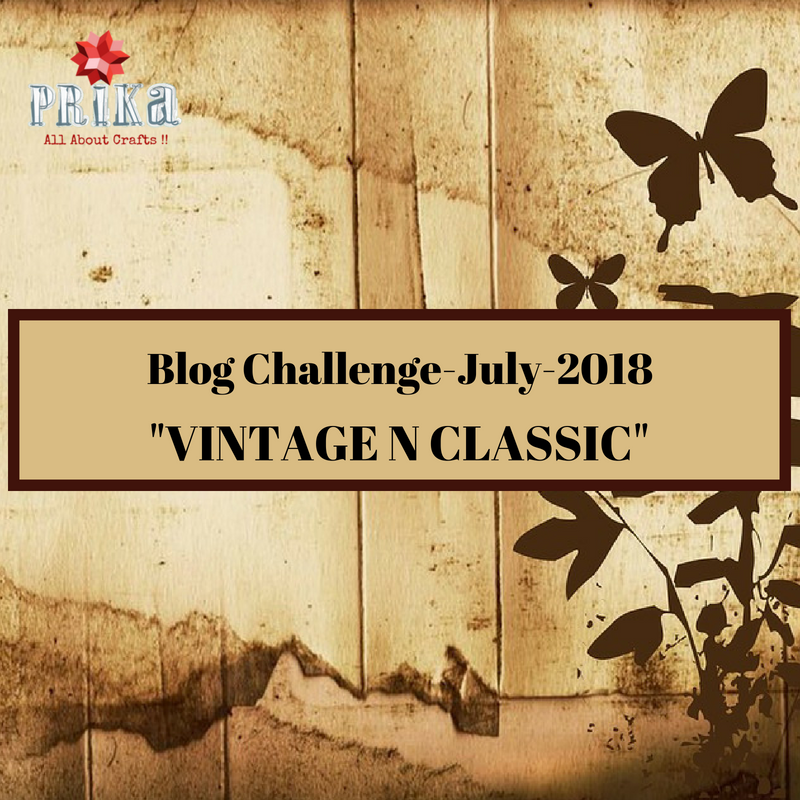 Hope you had super fun enjoying our new blog giveaway…..We are back again with new blog challenge for this month of July-2018, let's have some vintage craftwork trying out your creativity by creating some wonderful antique, victorian and distressed look …..We will be sharing few inspirations for creating the same from our own studio and hope to see you all getting inspired and sharing your projects with us. We are super excited to see all your creations for this challenge and new ideas…..This Challenge will be active from 15th July to 15th August 2018, considering late day of entering the challenge 10th of August and announcement of winner on 15th August, 2018. 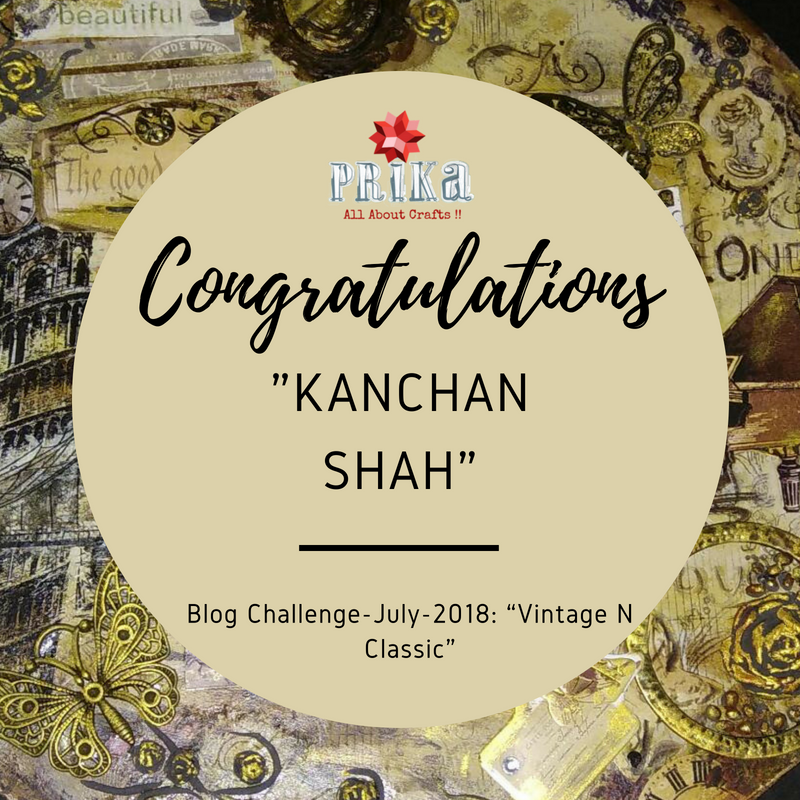 Don’t wait for last day to enter since it becomes very difficult for us to feature your entry on the blog before time and we really don't want to leave behind work of any talented crafter…..
Keep Following us for more Craft Inspiration, Ideas, Contest and Giveaways!! We need to mail only? We cannot link our blog here? Yes.. It's great theme to create some vintage..